We are Greek food lovers from way back and are suckers for classic Greek dishes from souvlaki, spanakopita and moussaka to tzatziki and taramosalata. But if we had to name our favorite Greek dish, a traditional Greek salad would top our list. 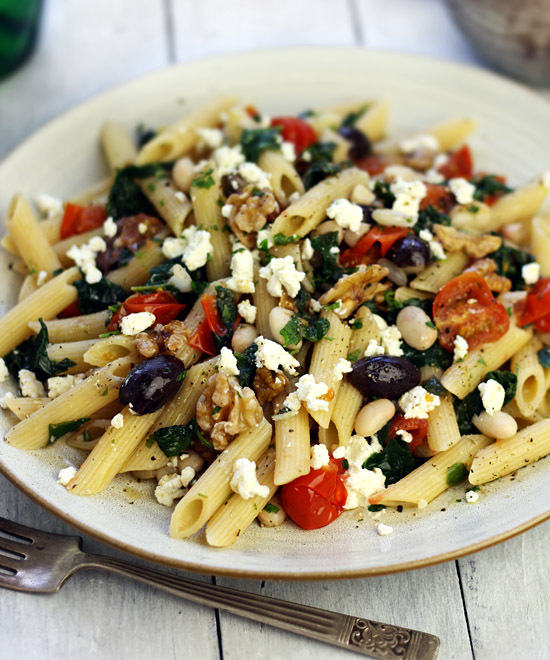 It’s a wonderful mix of tasty and healthy ingredients including crisp vegetables, crumbly feta cheese and plump Kalamata olives. The dressing is also deceptively simple, made with olive oil, lemon juice, garlic and oregano which gives it that authentic Greek taste. For us, nothing beats a Greek salad served alongside grilled fish, seafood or chicken with some crusty bread and a glass of wine or beer. 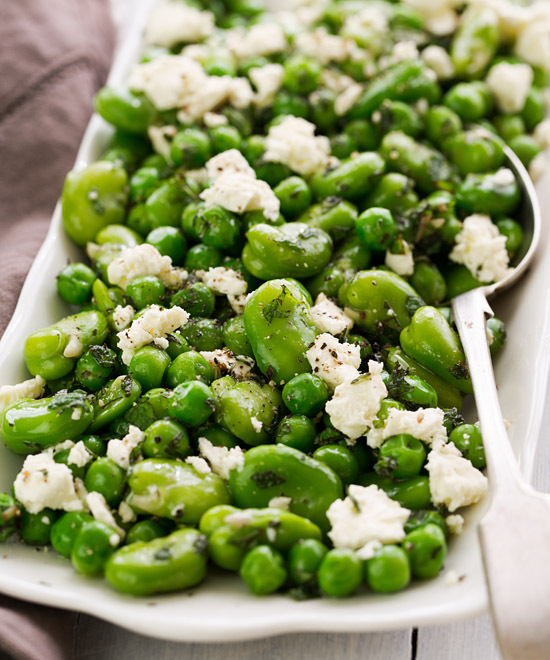 But it can also be made into a main dish with the addition of beans such as chickpeas, white beans or fava beans tossed in for extra protein. For a hand-held meal, you can stuff Greek salad into pita bread spread with hummus. For a twist on the classic Greek salad you could swap the feta with grilled halloumi cheese. And to make it more substantial you could add crisp baked pita wedges or toss the salad with pasta such as risoni. 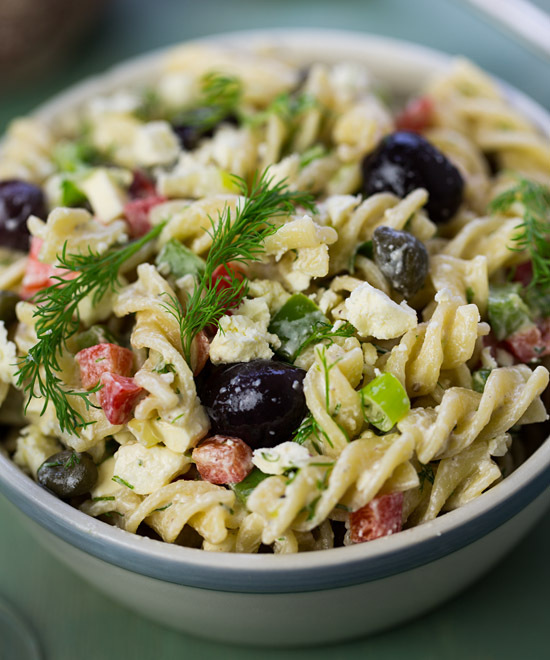 Greek salad, or horiatiki salata, is a rough country salad of juicy tomatoes, crisp cucumber, sliced red onion, green pepper, crumbly feta cheese and plump Kalamata olives. 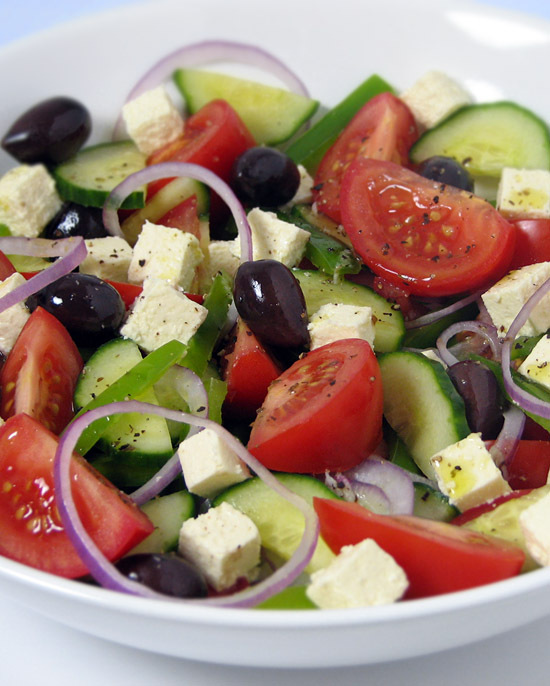 Greek salad can be served as a side dish or as a light meal with some crusty bread.